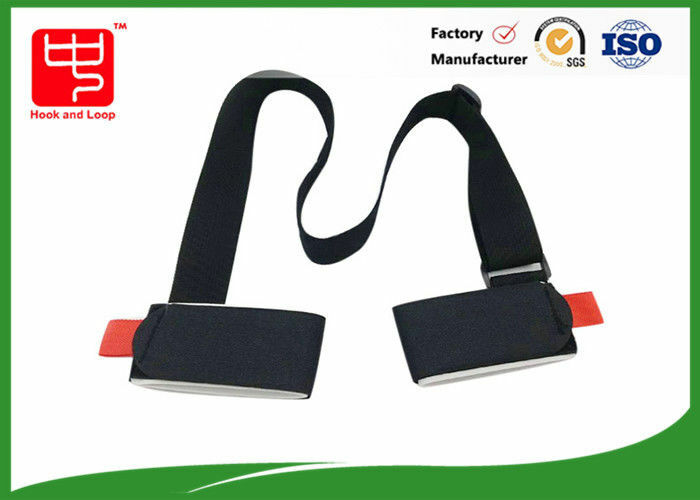 This product is consisted of two hook and loop ski straps and an adjustable shoulder strap. you can use this product to carry your ski equipment and some other thing. The hook and loop ski strap can make your skis together then better protect your ski equipment from damage. Service OEM/ODM. Custom size and color as your needs. Cold resistance. You don't need to worry it won't work in low temperature. It's used to carry the ski equipment. The soft EVA play a role of protector. It can protect your ski from damage. And it's easy to use and carry the ski. We are glad to send sample freely. And you need to pay for the shipping fee. Logo printing is no available for sample.